CRAZY COOL GROOVY!!! : GIANCARLO STANTON & AARON JUDGE On BASEBALL 2018 For SPORTS ILLUSTRATED MAG!!! GIANCARLO STANTON & AARON JUDGE On BASEBALL 2018 For SPORTS ILLUSTRATED MAG!!! The NEW YORK YANKEES now have two premier power hitters in 6'6", 245-lb. Right Fielder #27 GIANCARLO STANTON and 6'7", 282 lb. Right Fielder #99 AARON JUDGE!!! 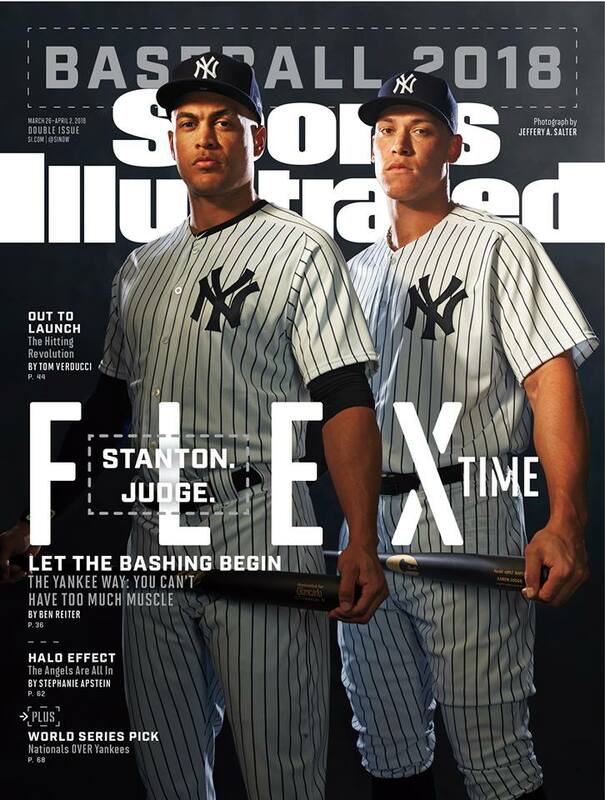 Power Sluggers GIANCARLO STANTON and AARON JUDGE cover the MLB PREVIEW ISSUE 2018 for SPORTS ILLUSTRATED Magazine.